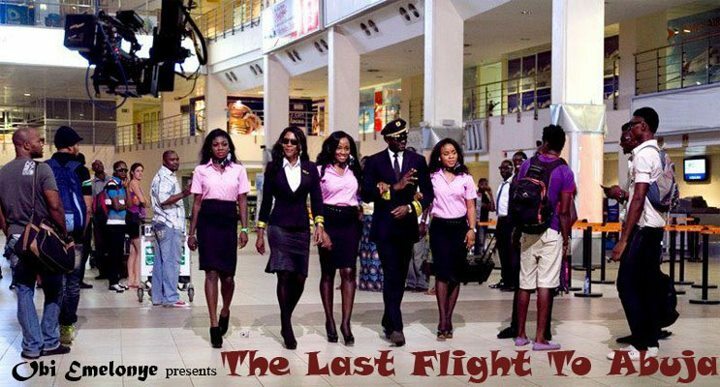 Amnesty international Ambassador, A-list actress and singer, Omotola Jalade-Ekeinde has tipped the new Nollywood flick, Last Flight to Abuja to go places. 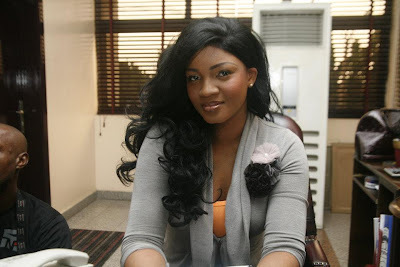 Omotola who played the role of a busy lady based in Abuja and had to cut short her stay in the Federal Capital City in order to surprise her fiancé who is based in Lagos only to meet another lady in her pyjamas. On seeing the stranger in her fiancé’s apartment, Omotola decided to go back to her base thereby boarding the doomed last Flamingo flight to Abuja. The Amnesty International Ambassador was pleased with the positive review the movie got in the UK, ‘’I am totally pleased to hear that it has been Rated in four star by Odeon cinemas, UK; it’s a testament to the faith, perseverance and hardwork. Thank God, this is only the beginning”. Last Flight to Abuja (LFA) was produced by Obi Emelonye, the producer of one of the highest grossing movies of 2011, Mirror Boy, a film that received several awards last year. Obi Emelonye’s new movie features a delightful slew of superstars and fast rising acts; the amiable Omotola Jalade-Ekeinde, Jim Iyke, Hakeem Kae Kazeem, Ali Nuhu, Jide Kosoko, Celine Loader and a host of others. to the tune of N20m (twenty million). It should also be noted that most scenes of Last Flight were shot in the air. The movie will premiere Friday, August 3rd, 2012 and will be all over the cinemas the same day. Synopsis: A set of everyday Nigerian travellers’ board the last Flamingo Airways flight scheduled to fly from Lagos to Abuja on a fateful Friday night in 2006. The plane cruises at 30,000 feet, tranquil and on schedule. But like a bolt out of the blue, through a mixture of human error, technical failure and bad luck, the plane rapidly develops major faults that send it teetering on the brink of disaster. As the pilots fight with the controls of the stricken plane, a series of flashbacks unravel the twists, turns and leaps of fate that put each passenger on the fateful flight. Young lovers, an elderly couple, a corporate party, a sportsman on the threshold of greatness; all the passengers are caught up in the nightmare scenario and sense the final moments of their lives approaching. SIGNING OF CONDOLENCE REGISTER FOR COMEDIAN CD JOHN .